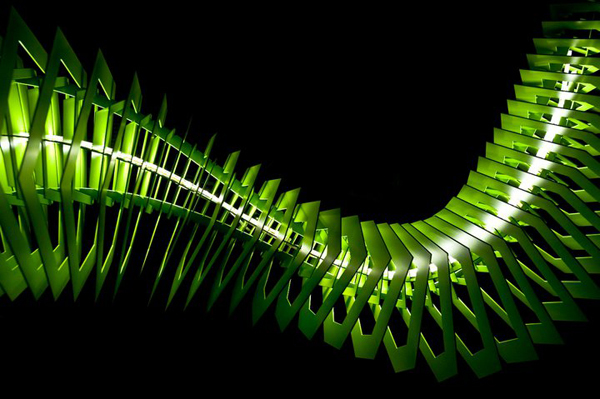 Dominique Jakob and Brendan MacFarlane have created a light sculpture composed of blades and LEDs, a luminaire specially designed for Moaroom, a Paris-based furniture and art gallery. Since 2004 Moaroom works with designers and artists from New Zealand and presents a selection of creations from the world of design and visual arts. 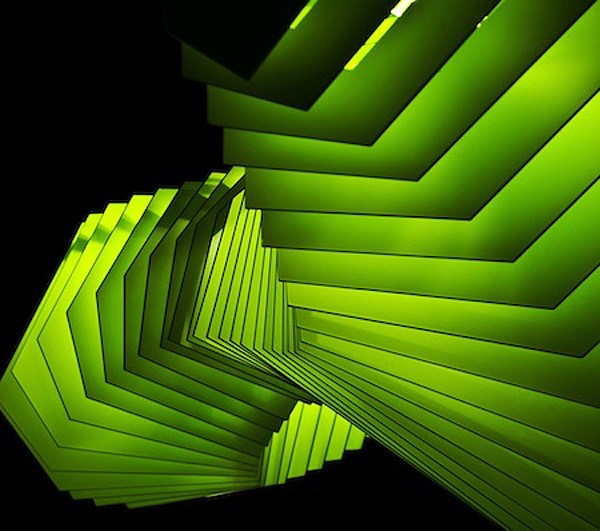 Aimed to explore design beyond the usual scope of trends and patterns, these works are inspired by nature and its needs, and are created in order to respect the environment. “Both transparent and opaque, this fixture is conceived as a creature from the depths of the sea newly discovered, both unknown and unnamed. It belongs to a dark world, where new sounds, new experiences can be imagined and lived, “say the architects. 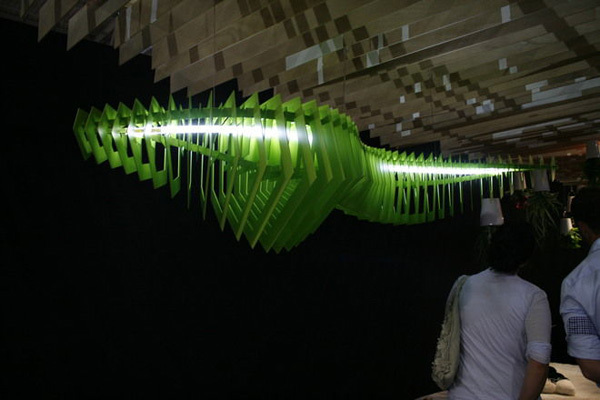 The suspended sculpture, composed of thin strips of aluminum and powered by LEDs, alternates between light and shadow. 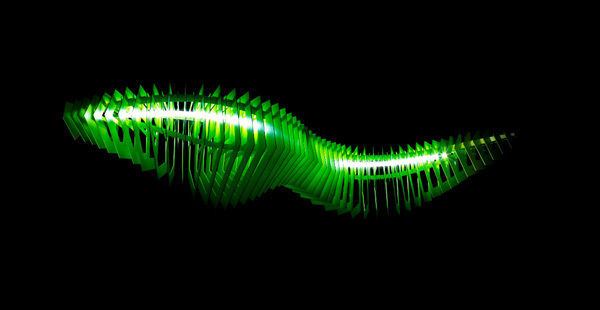 It is a 160x80x45 cm snake-shaped light source that flows organically through space, creating an impression of a moving organism. 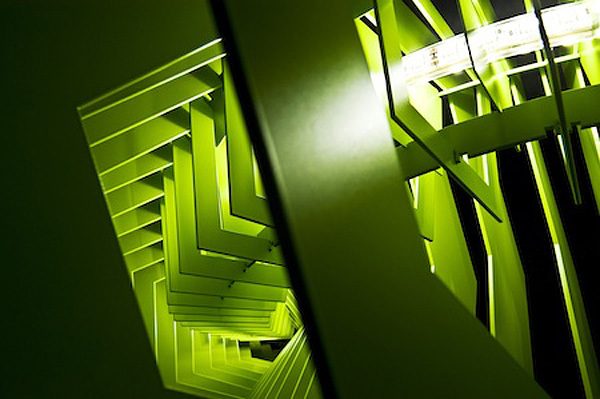 Hovering above the visitors to the gallery, this item brings the Studio’s continuous exploration of patterns and color into the realm of interior design.